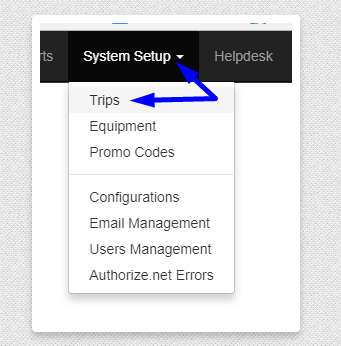 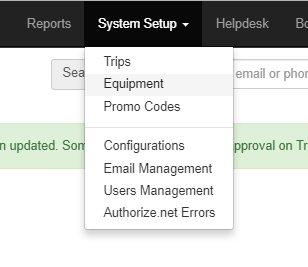 This will show a user and give step-by-step instructions on how to set-up a new Trip in the RS system. 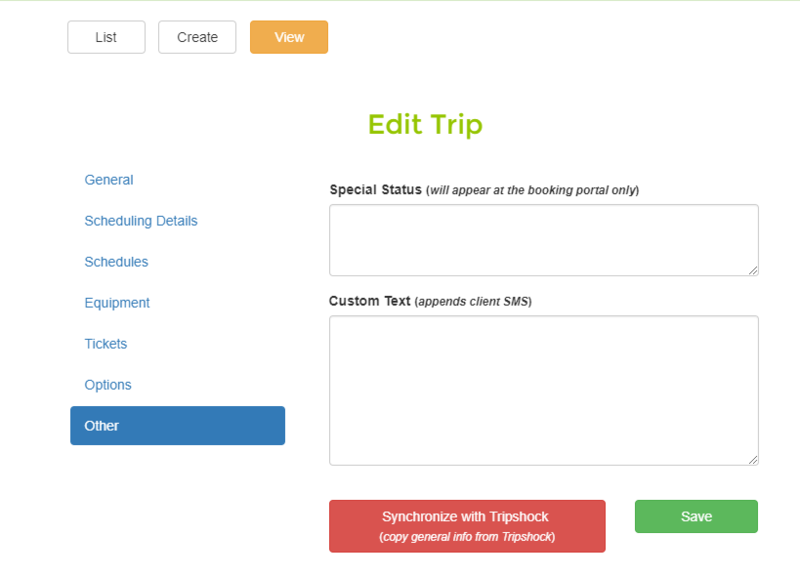 This will allow you to work on the Trip and set-up without it being live until you are ready to put it in the Booking Portal. 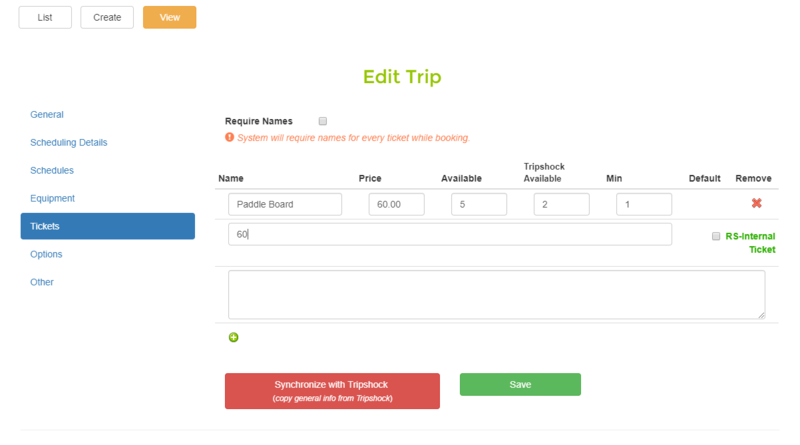 Next you will need to name your Trip, put in a Description, choose a Main Image and/or add any Additional Images(these will all show in the Booking Portal), add a Youtube.com url of your business if you have one, then add any Depature Details/Directions, any Agreement statements, Address and Tax %(if the user is not sure about this, Support will add). 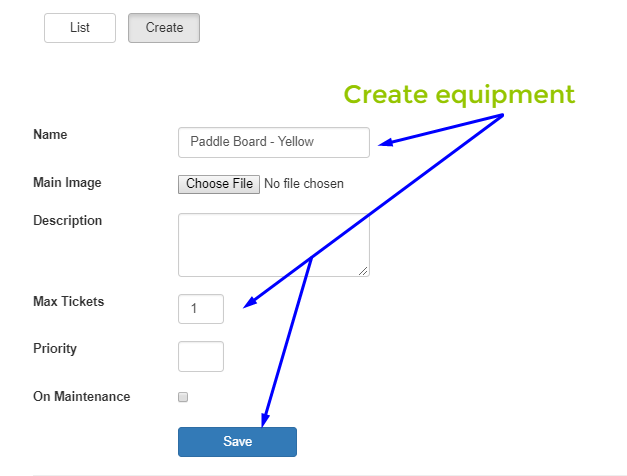 Once done a user will select Save and move on to the next step, Equipment. 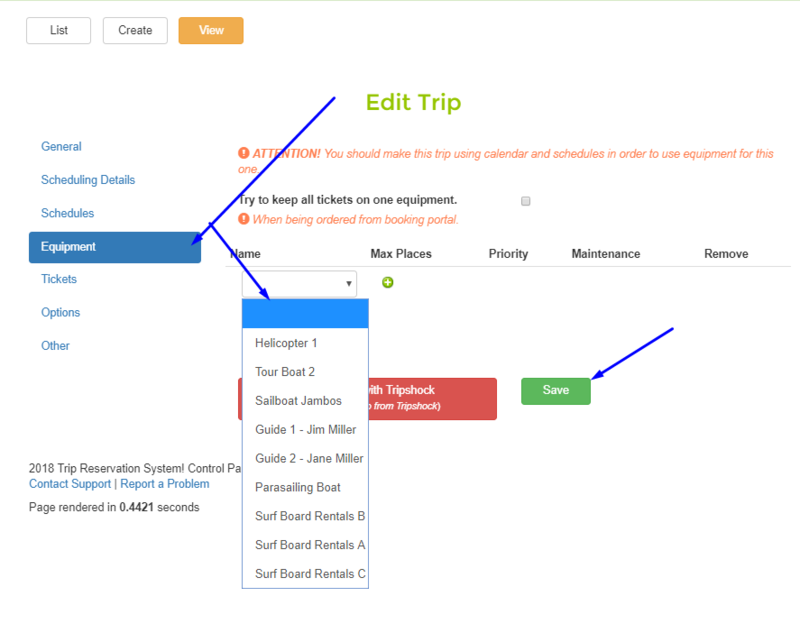 Once done setting up the new Equipment, the user needs to go back to System Setup, Trips and select "Edit" then Go for the Trip they were originally creating. 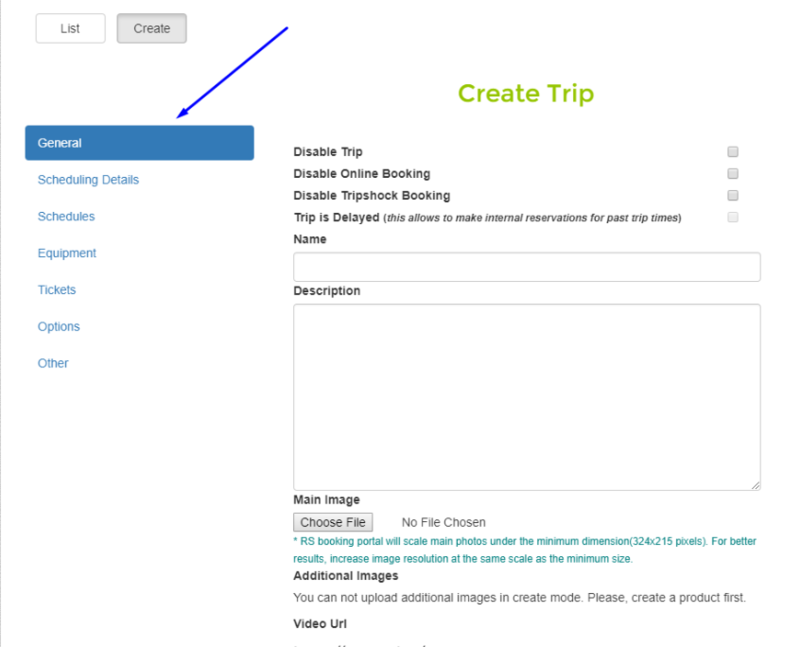 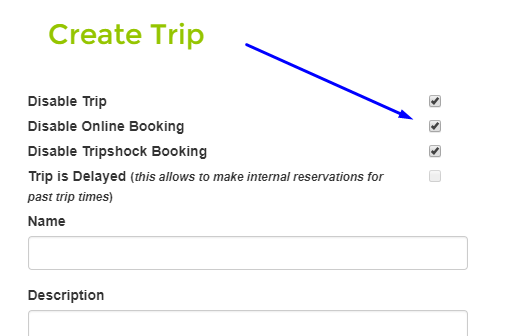 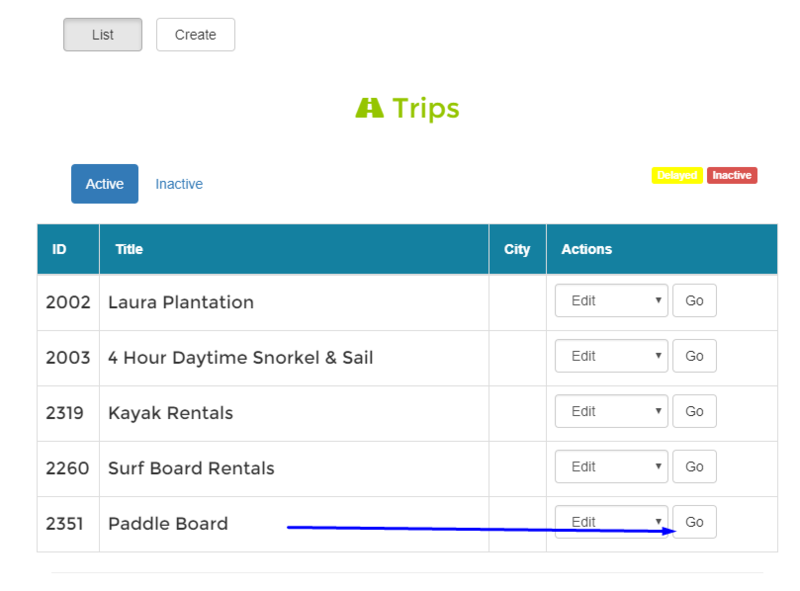 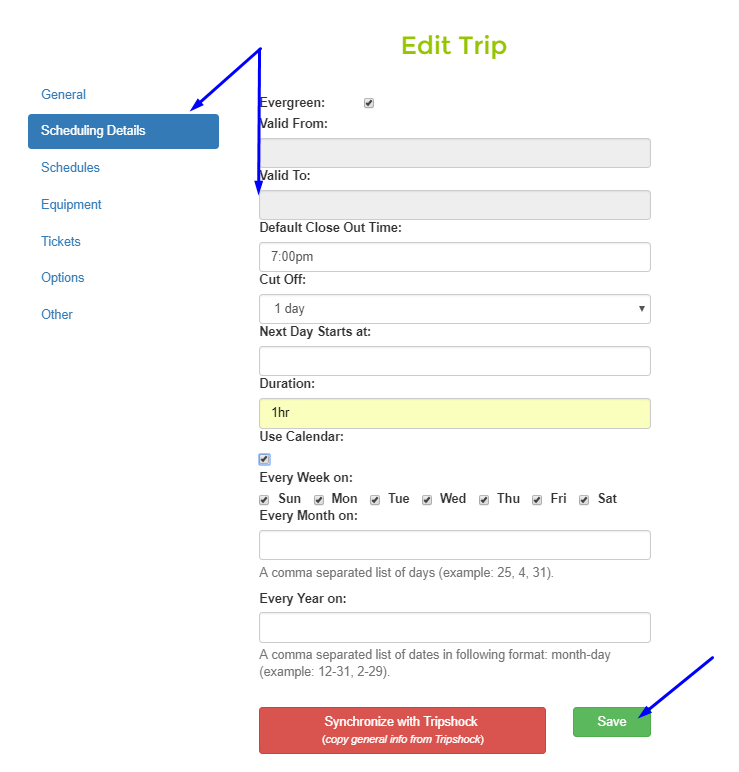 If there are any options for the Trip the user is creating, the Options tab is where they will add this. 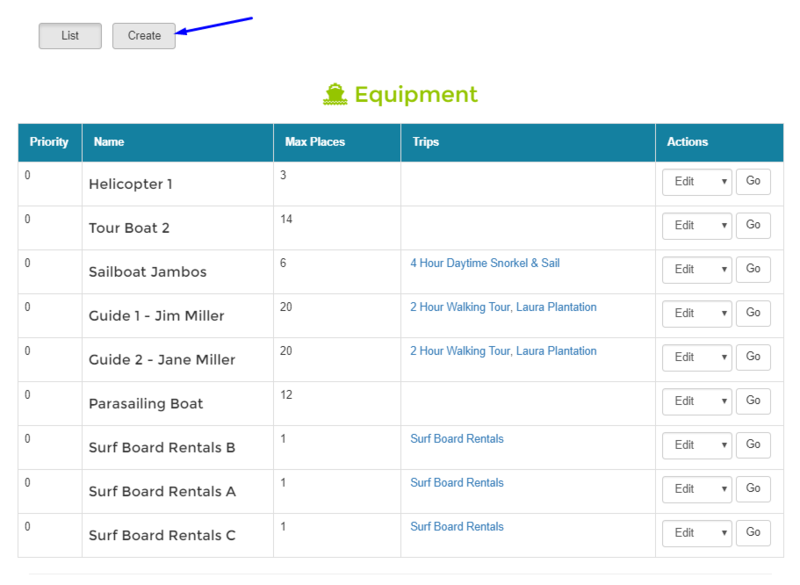 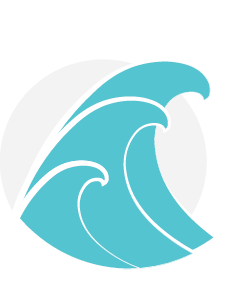 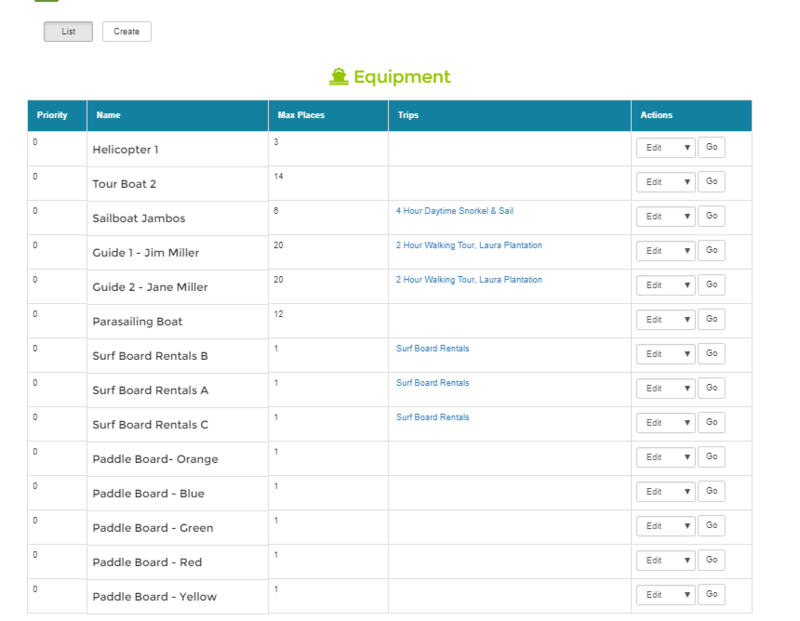 This could include for the customer to add the option of a cooler, tee shirt, jet ski, etc. 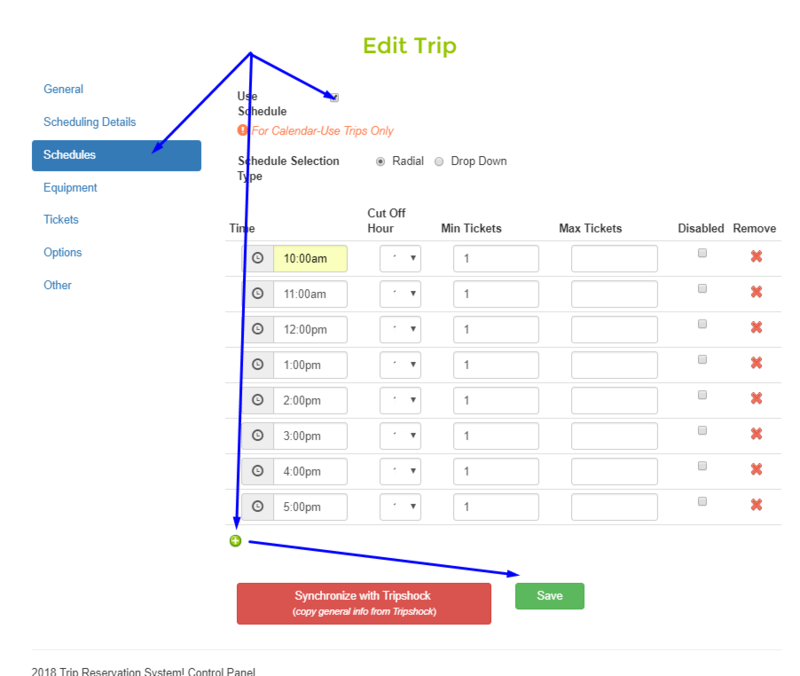 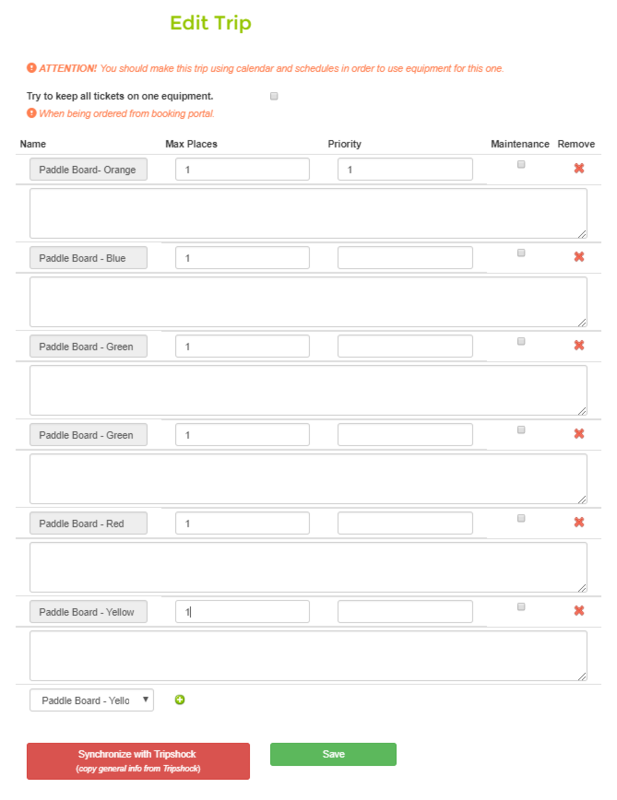 From here the user will need to use Calendar Controls to set-up any further pricing, ticket amounts, stop sells, restrictions, etc.